It is our desire to help our patients achieve and maintain healthy, youthful looking skin by providing a range of clinically proven non-surgical cosmetic enhancements, advance skin rejuvenation treatments, and anti-aging treatments. Our primary goal is whole body health and quality care provided by a caring and dedicated staff in a warm and comfortable environment. We take pride in constantly exploring, researching and testing the most current technology in order to afford our patients the best and most current treatments, in facial and body care and aesthetics. The Aesthetic Rejuvenation Center is a comprehensive health and wellness center specializing in anti-aging and non-invasive treatments, featuring breakthrough medical aesthetic procedures. The Center has the latest in facial and body care treatments and is geared toward integrated anti-aging modalities. In addition to traditional aesthetic services like facials, microdermabrasion, and peels, the facility offers the latest in anti-aging technology, based on a customized evaluation, and with whole health, not just aesthetic perfection, as its goal. The Aesthetic Rejuvenation center specializes in various laser treatments and non-invasive procedures such as CoolSculpting and Ultherapy. Your care is provided in a beautiful, warm and caring environment, staffed by experienced professionals who do everything possible to make you as comfortable as possible and minimize any discomfort you may normally experience during procedures, including the ability to have nitrous oxide to reduce anxiety. A native of New York City, Dr. Bruce G. Freund received his Doctor of Dental Surgery from New York University College of Dentistry. For over 25 years he has been in private practice in NewYork and New Jersey, focusing his practice on cosmetic and restorative techniques. He has gained wide respect as an authority in the placement of veneers and has worked as a lecturer and hands-on trainer for one the largest cosmetic dental companies in the United States. Dr. Freund has completed a 2 year implantology program at NYU and is trained to perform both the implant surgery and the implant prosthetics. In 1991, he became one of the first dentists in NJ to be certified in the use of the dental laser. As a natural adjunct and in his endeavors to remain at the forefront of providing the most current cosmetic procedures to his patients, Dr. Freund has become an expert in the administration of Botox, Dysport, Xeomin, Restylane, Perlane, Juvéderm, Radiesse, Belotero, Voluma and Sculptra. He pioneered the intra-oral injection technique which can virtually eliminate bruising/swelling caused by external injections. He was one of the few nationally recognized certified trainers for Allergan and Medicis, an honor bestowed on only a few healthcare professionals and is one of the only dentists in the United States to have earned this honor. He is a Co-founder and CEO of the American Academy of Facial Cosmetics which educates and trains other healthcare professionals in facial injection techniques. Dr. Freund has been a clinical instructor at both NYU and Mt. Sinai Hospital and is certified by the U.S. Armed Forces as a forensic dentist. He has served as a forensic consultant to the New York City Medical Examiner’s office and helped in the identification unit after the September 11, 2001 terror attacks. Dr. Freund holds memberships in many associations and societies including fellowship in the International Academy of Dental-Facial Esthetics, the American Dental Association, the New Jersey Dental Association, the Bergen County Dental Society, the American Academy of Cosmetic Dentistry, the Academy of General Dentistry, the Academy of Osseointegration and the New York Society of Forensic Dentistry. He has also held memberships in the Academy of Computerized Dentistry and the Academy of Lasers in Dentistry. 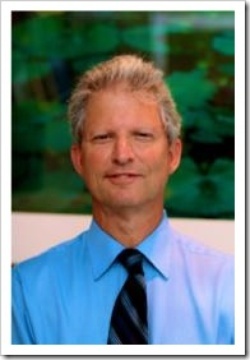 Dr. Michael D. Seidner did his undergraduate work at the University of Rochester and finished his medical school training through the University of Medicine and Dentistry of New Jersey. Dr. Seidner went on to complete residency training in Obstetrics and Gynecology in Manhattan at the New York Infirmary/Beekman Downtown Hospital where he served as Chief Resident and received subspecialty training in laser and advanced laparoscopic surgery. He is also certified by the American Board of Obstetrics and Gynecology and is a Fellow of the American Congress of Obstetricians and Gynecologists. 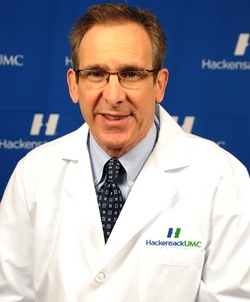 Dr. Seidner is currently a Senior Attending Physician at Hackensack University Medical Center and has held multiple academic appointments including Assistant Clinical Professor at UMDNJ, Associate Clinical Professor at Seton Hall University School of Graduate Medical Education and Assistant Professor at Touro University Medical School. 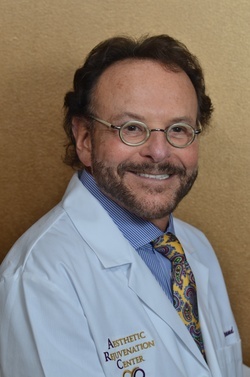 Dr. Seidner has been recognized by numerous professional and consumer organizations for the quality of his work and excellent patient rapport which include listing among Top US Obstetricians and Gynecologists, a certificate of Excellence from UMDNJ, Vitals.com NJ Patient’s Choice award, and Most Compassionate Doctor award consecutive years running. In order to provide more personalized care, Dr. Seidner has maintained a private solo office for the practice of Obstetrics and Gynecology in Hackensack for the last 25 years and will bring his medical expertise and surgical skills to the management of all aspects of women’s health care from adolescence through menopause, to this office as well. Dr. Angrist received his D.C. from Logan College of Chiropractic. He has been a wellness chiropractor in practice for 35 years. Dr. Angrist is licensed by the American Chiropractic Association as well as the New York, New Jersey and Florida State Chiropractic Associations. Dr. Angrist also holds a certification from the International College of Kinesiologists and is a member of the A.C.A Council of Sports Injuries. Honoring his goal to service others at any opportunity, Dr. Angrist has worked with Time Warner, Universal Music, Whole Foods Market, Steps on Broadway, Broadway Dance Center, BMI Music, ASCAP and was the on-call chiropractic consultant for artists and athletes at Madison Square Garden. His gentle approach combines manual “hands on” trigger point therapy complemented by lifestyle education. Once your symptoms and pain have been resolved, he offers you the opportunity to achieve optimal health and wellness. His focus is to help you learn to interrupt the emotional, physical and nutritional patterns that you have developed over the years, which have manifested in your muscles and nervous system, creating rigidities, tightness and imbalances in your body. You can learn how to improve your health by reading his new book “I’ve got your back….Your Toolkit to health”. 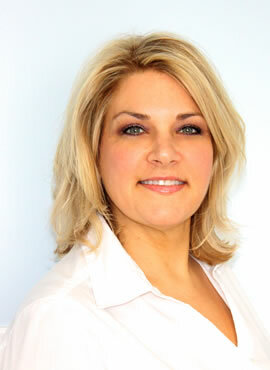 Rhonda Freund, MA, SCS, COE has been an integral part of both the dental and aesthetic teams. With a background in Education, and as a licensed Skin Care Specialist, with an additional certification as an Oncology Esthetician, she has helped to develop, and manage, both the dental practice, the NJ Center for Aesthetic Enhancement, as well as the aesthetic practice, the Aesthetic Rejuvenation Center. A.R.C. helps to educate patients on skin care procedures and products to improve, or enhance, their facial and body concerns. It is her goal to always to educate patients on their procedures and provide safe technological and quality, effective anti-aging services in a comfortable and caring environment. The newest member of our team​ has over 20 years of experience in New Jersey and New York working with plastic surgeons and dermatologists to help clients achieve improvements to their skin as well as to help them address their facial and body concerns. She is skilled in the evaluation and treatment of acne, rosacea, and eczema. She has extensive knowledge in many cosmetic procedures for skin rejuvenation including microdermabrasion, chemical peels, dermaplaning, micro-needling and Ulthera. Her skill in hair removal techniques and her expertise and eyebrow tinting and shaping are just some wonderful additions to the services we already offer. Luba takes pride in working closely with her clients to provide quality care with in a friendly and caring manner and we are happy to have her join us at the Aesthetic Rejuvenation Center. 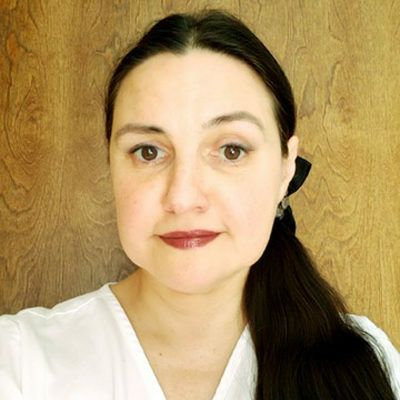 Pamela, SCS – Experienced esthetician with over 20 years in the field. Specializes in Ultherapy© treatment​s​ which ​are used to lift tissue and skin producing amazing results non-surgically. Gleisys is one of our Certified Coolsculpting© Technicians – a procedure that literally freezes away your fat without surgery or downtime!